What do you think of this? he wants to know. This is his concept for a horror novel and he is enthusiastic. Because I have written horror stories, have led workshops on writing horror, have edited a book dealing with horror, he has come to me. And then, he shares this with me. Earlier, on the morning of this same snowy day, I turned on my radio to learn which tollways were icy and if commuter trains would be running late. The clothing store specialized in plus-sized apparel. This was mentioned so often that it was as though it were something of great importance or even a clue or a code. Mentioned almost as often was the fact that the victims had been bound with duct tape. It was not thought to be duct tape that had been in the store. The killer had brought his own. The women who died ranged in age from twenty-two to forty-two. They had not known each other prior to their becoming the women who were bound with duct tape and shot during a botched robbery attempt. Okay, I ask, what about the people? They’re, you know, just people, like people you could meet every day. But now, they have to be more than just people, okay, because they are encountering the Greatest Horror anyone could ever know. There is no safety. So they can hide or they can fight. And as they confront the horror, they have to reach deep within themselves. 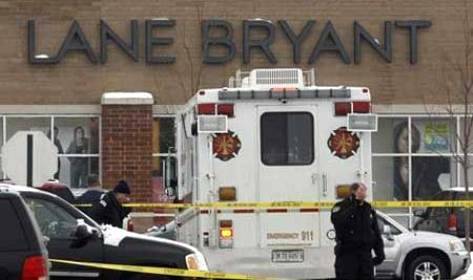 One woman was the store manager. One woman was a nurse. One woman was a recent college graduate. One woman was a social worker at a high school. One woman was a stay-at-home mom. You see, there’s not just gimmick! There’s humanity here. 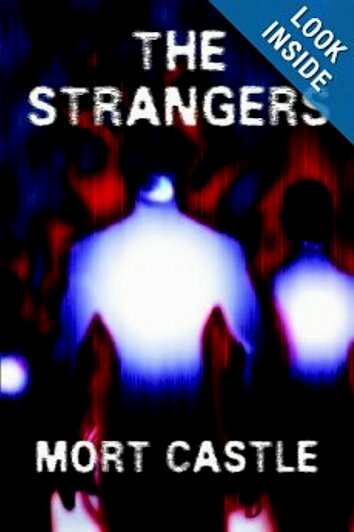 Something quite strange happens. It is late in the day when we have the news that there was a sixth woman. She was shot, but the bullet just grazed her neck. She is alive and in protective custody. We do not learn if she was shot first or fourth or last. Somehow, the news teams are held at bay and not permitted to ask if she was praying or crying or if she now feels there is a special grace in the universe reserved for her. The survivor is able to provide police a description. There is a reward offered. So, what do you think, he asks. Do I have horror or do I have horror? Vampires hunting people. I don’t know, is what I say. Because right now, I don’t think he knows anything about horror. 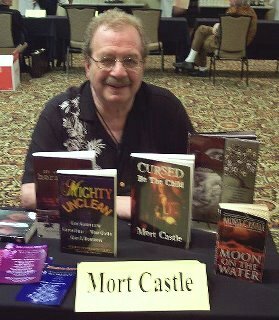 And neither do I.
Mort Castle is a horror author, editor, and a writing teacher with more than a dozen books to his credit. A former stage hypnotist, folksinger, and high school teacher, MortCastle has been a publishing writer since 1967. He’s been deemed a “horror doyen” by Publishers Weekly, “El Maestro del Terror” by South America’s Galaxia Cthulhu, and “the master of contemporary horror” by Poland’s Nowa Fantastyka magazine. Many times a nominee for the Horror Writers Association Bram Stoker Award®, Castle and co-editor Sam Weller earned the prize in the anthology category for 2012's Shadow Show: All New Stories in Celebration of Ray Bradbury. 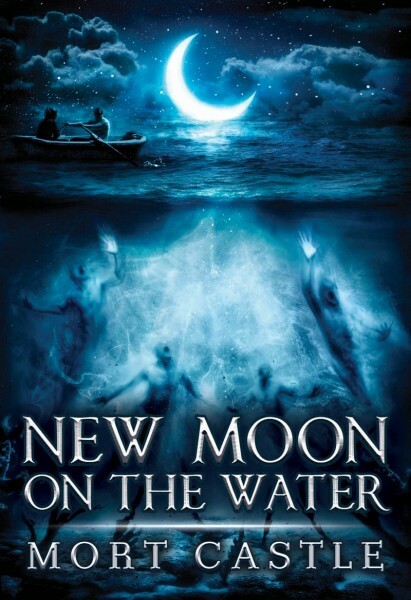 Castle's New Moon on the Water also won for "Superior Achievement in a Fiction Collection.” Castle's got a pair of Black Quill awards for editing, and has been nominated for The International Horror Guild Award, the Pushcart Prize, and others, and 30 stories have been cited for "honorable Mention," "Notable," etc. 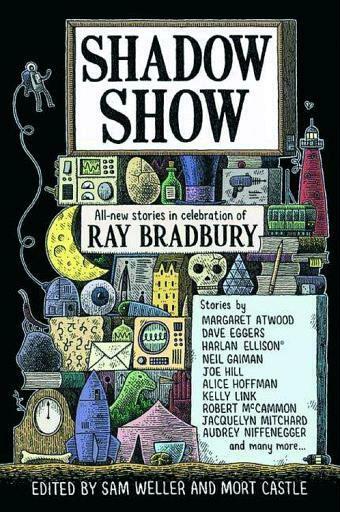 or included in annual Year's Best compilations in the literary, mystery, horror, science-fiction, and fantasy genres. In 2008, his novel The Strangers made Newsweek's (pl) Top Ten List of Best Books Published in Poland. Castle has published about 600 “shorter things,” mostly articles and short stories, in a variety of magazines, including Penthouse, Twilight Zone, Cavalier, Bombay Gin, Writer's Digest, and many more. His work has been translated into, French, Spanish, Italian, German, Russian, Hungarian, Turkish, Czech, Hebrew, and Polish.